Download free DMAIC PowerPoint templates for presentations on process improvement, innovation, quality management and process development. DMAIC stands for Define, Measure, Analyze, Improve and Control and refers to a data-driven improvement cycle used for improving, optimizing and stabilizing business processes and designs. 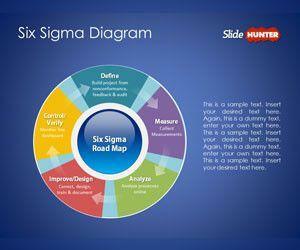 The DMAIC improvement cycle is the core tool used to drive Six Sigma but also has other applications. 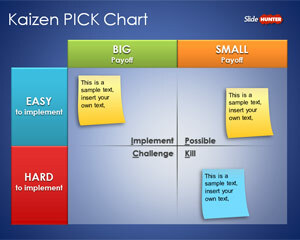 Under this category you can download free DMAIC PowerPoint templates and DMAIC diagrams.